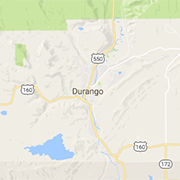 This summer, locals of Durango were reminded of a wildfire’s ability to affect not only our town’s local ecosystem but also adversely impact our economy, threaten citizens’ homes, and limit recreational opportunities. Recreation and Resilience, put on by the local non-profit Mountain Studies Institute, seeks to bring all of this and more into conversation on Monday October 22nd from 5:30-8:30 pm at the Powerhouse Science Center. Recreation and Resilience after 416 hopes to bring unity, discussion, and action after the events of the 416 fire this past summer while highlighting opinions on conservation through recreation. They hope to bring together those affected in Durango area from local hikers to small business owners. The event will begin with food, beer, and games to allow individuals to connect with local organizations and resources for the reconstruction of our local ecosystem. There will also be a silent auction featuring art and gear to help raise money for the Community Emergency Relief Fund (CERF). Headlining the evening will be a screening of “America’s Finest,” followed by a conversation lead by Luis Benitez, the Director of the Colorado Outdoor Recreation Industry Office. Benitez will bring the conversation to the economic impact of recreation. After, the conversation will be handed to speakers from the local area to discuss community actions that can be made. Before the official event, there will be a small community discussion held at Fort Lewis College from 1:30-3:30pm. Luis Benitez, local business owners, local government, and land management agencies will all be attending this discussion.